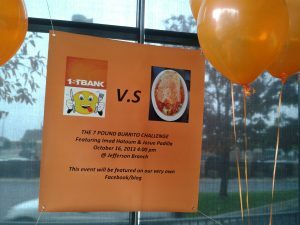 Yes, our loan officers challenge themselves to not only excellent customer service but also to food challenges. 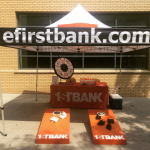 On October 16th, at our Jefferson branch located at Wadsworth & Colfax in Lakewood, Colorado. 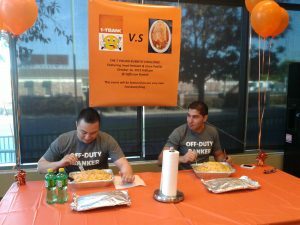 Two of our employees put themselves through the Jack & Grill 7lb Burrito challenge!! The burrito has 5 pounds of grilled potatoes, 12 eggs, ½ a pound of ham, ½ a pound of cheese, onions and mild green chili. Our two challengers had one hour and 30 minutes to eat the whole burrito with no bathroom breaks. 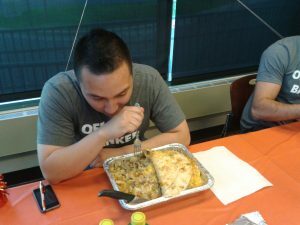 Check out the photos to find out if they were able to complete the challenge and finish these MASSIVE burritos. 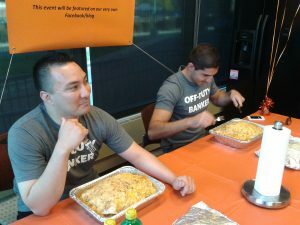 Thirty minutes into the challenge the competitors’ tactics changed; Imad covers up half of his burrito while Josue sips on his 7-Up looking for relief. A break has started. The clock is ticking down and our two competitors embrace a new strategy; it’s called “Eye of the Tiger”. 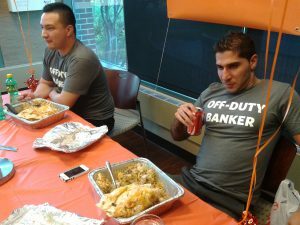 This is Imad and Josue’s last chance to shovel as much food into their mouths as possible trying to edge out the competition. Only ten minutes left and it looks like the clear winner will be Imad, can Josue keep going until the bitter end?!? They both cannot make it, the challenge is over with four minutes left on the clock. 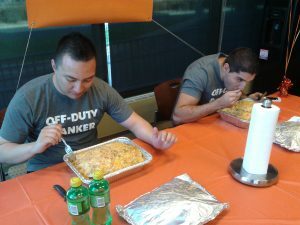 Imad and Josue each have more than half of the burrito still on their plates. Imad ended with 4.53 lbs left while Josue ended with 4.32 lbs. The winner by a few extra potato bites is Josue! 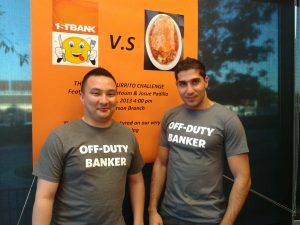 Well done to our “off duty bankers”, Imad and Josue, for the fun experience and spirited challenge. 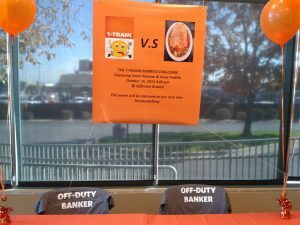 Needless to say they did not beat food but both are still proud to be FirstBankers!